Finding a good option for a reasonable price is a challenge in San Francisco's housing market. According to rental site Zumper, median rents in Cow Hollow are $2,645/month for a studio, and $3,325 for a 1-bedroom. To see how far a dollar stretches, we looked at the least-expensive apartments in the area. Listed at $2,150/month, this studio is located at 1911 Greenwich St. in a nine-unit building. In the apartment, you're promised parquet floors, a dishwasher, granite countertops and storage space. The building offers assigned parking for $275/month, outdoor space and on-site laundry. Cats are welcome. This 1-bedroom, 1-bathroom apartment situated at 2805 Greenwich St. is listed for $2,495/month. This unit features hardwood floors, stainless steel appliances, a tiled bathroom with a walk-in shower and ample natural light, but this spot doesn't allow cats or dogs. 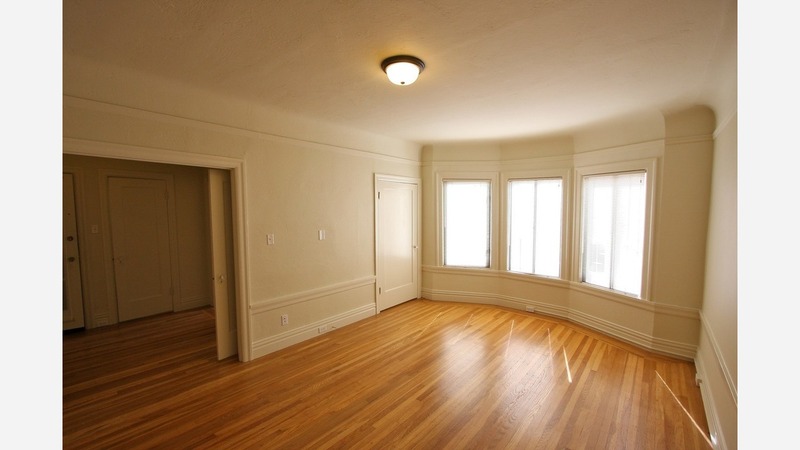 Here's a 1-bedroom, 1-bathroom unit at 2415 Van Ness Ave. that's going for $2,800/month. Tenants can expect high ceilings, hardwood floors, large windows, a dishwasher and plenty of storage space. Building amenities include a roof deck, an elevator, on-site laundry and storage space. Pets are not allowed. Then there's this 1-bedroom, 1-bathroom apartment at 2755 Franklin St., listed at $3,150/month. In the unit, you'll find hardwood floors, a walk-in closet, bay windows, French doors, an oven, wooden cabinets and plenty of natural light. Amenities offered in the building include on-site laundry. Cats and dogs are not welcome.